Azure Managements one of Melbourne's leading Boutique Talent Agencies is currently looking for talent of all ages, shapes, looks & sizes for our Melbourne Commercial & Extras Division. If you are interested in representation in the film and television industry please send a current photo of yourself and a sort bio to the following email address and we will be in touch. 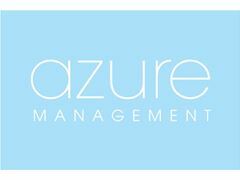 We look forward to receiving your application and hopefully having you on board the Azure Management Team! provide opportunities for TVC , TV series, Film & Photographic work. 2. All applicants must attend a interview to be advised of the protocol an requirements of the agency. 3. All set up costs are tailored to the applicant at interview level. Please note: Only talent who are not represented by another agent can apply.